Rafa made his way to twitter yesterday as he promised before Montreal, just like he said he would during his Wimbledon blog when I asked him.Yesterday was awesome point blank. 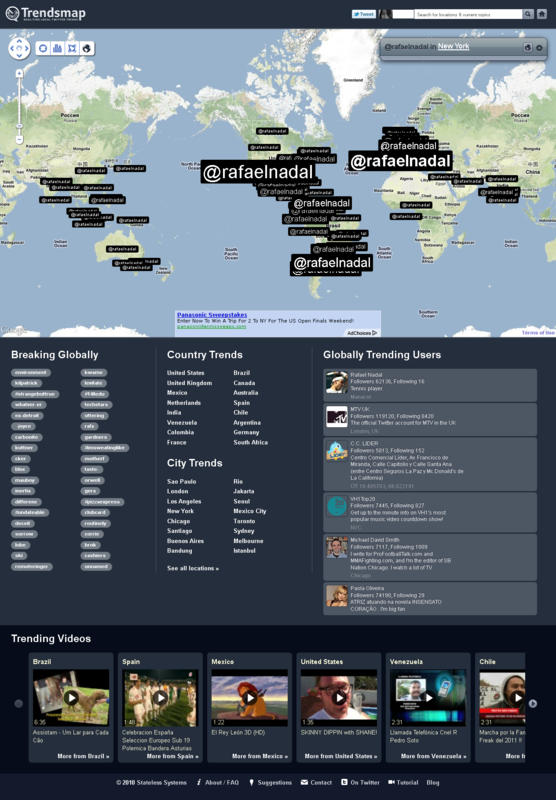 To see @RafaelNadal trending globally was so crazy I have a screen shot to prove it..It was just plain to see how Rafa really is loved! Happy tweeting Rafa! Entrenando duro para la gira americana, antes de viajar a Montreal! Rafael Nadal has been one of the last of the elite athletes in the world join the social network Twitter, after taking account has exceeded its 130,000 followers in less than 24 hours. 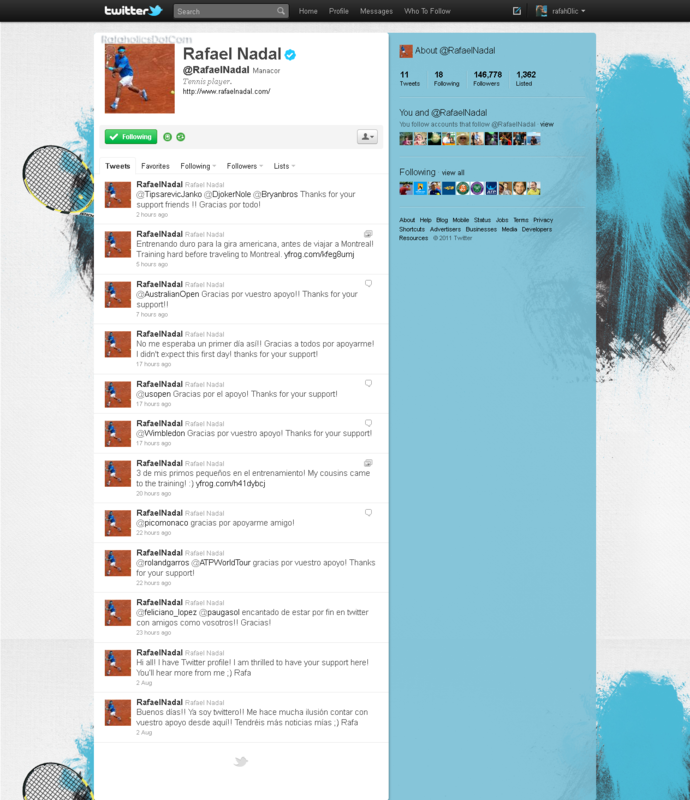 Athletes and friends as "twitters" you have welcomed to the social network, which has helped to get Nadal as high number of followers in such a short time. "I encourage everyone to follow one of the best athletes of all time worldwide. And a great guy, "Pau Gasol said after watching the player in the social network. The tennis players Feliciano Lopez and Juan Monaco also would have welcomed Nadal and the latter wrote: "Today exploit Twitter, Rafa has come." Rafa saying I am motivated & I haven't trained as much as I'd liked. In truth I feel I have taken a step forward & I will try to do my best. Uncle Toni says Rafa has improved! Rafa says Yes, it's true that I have been improving & I hope in Montreal to play some singles & doubles matches to give me more pace, and hopefully arrive prepared for Wednesday.